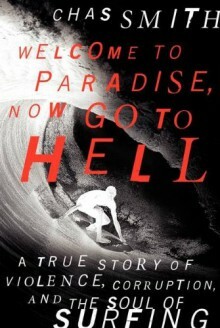 Welcome to Paradise, Now Go to Hell, is surfer and former war reporter Chas Smith’s wild and unflinching look at the high-stakes world of surfing on Oahu’s North Shore—a riveting, often humorous, account of beauty, greed, danger, and crime.For two months every winter, when Pacific storms make landfall, swarms of mainlanders, Brazilians, Australians, and Europeans flock to Oahu’s paradisiacal North Shore in pursuit of some of the greatest waves on earth for surfing’s Triple Crown competition. Chas Smith reveals how this influx transforms a sleepy, laid-back strip of coast into a lawless, violent, drug-addled, and adrenaline-soaked mecca.Smith captures this exciting and dangerous place where locals, outsiders, the surf industry, and criminal elements clash in a fascinating look at class, race, power, money, and crime, set within one of the most beautiful places on earth. The result is a breathtaking blend of crime and adventure that captures the allure and wickedness of this idyllic golden world.